Will Ambien Get a Second Life? Sleeping pills usually tarnish with age. 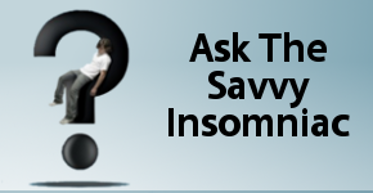 Zolpidem (Ambien), approved for the treatment of insomnia, is no different. But a new study from Stanford suggests that low doses of zolpidem may help people recover more quickly from stroke. 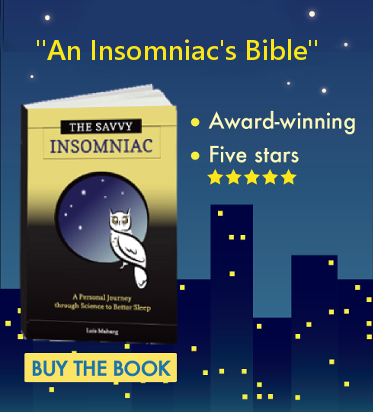 Here’s the gist of that study, published on December 18 in Brain, and what post-marketing studies tell us about zolpidem used for insomnia. Sleeping pills usually tarnish with age. Consider zolpidem (Ambien), approved for the treatment of insomnia. Once touted as superior to other sleeping pills, zolpidem today is known to have factored in thousands of accidents and emergency department visits. In January 2013 the Food and Drug Administration cut the recommended dosage for women in half, and experts are urging physicians to cut back on prescriptions for adults over 65. Zolpidem, like most other sleeping pills, acts on the GABA system. It facilitates the transmission of GABA, the main neurotransmitter responsible for calming the brain. GABA-producing neurons are distributed throughout the brain, and when they start firing, they inhibit the firing of adjacent neurons that are active when we’re awake. Zolpidem speeds this process up, shutting the brain down quickly and putting us to sleep. But this ability of GABA neurons to prevent adjacent neurons from firing also plays a role in brain development. In fact, this phasic inhibition enables the organization and reorganization of the neuronal networks we humans need to process different kinds of information. So researchers in recent years have sought to find out if the GABA “signaling” that occurs during normal brain development also occurs as the brain regains function following a stroke. The Stanford investigators already knew that during the first few hours following a stroke, enhancing phasic GABA was neuroprotective: other research had shown that it reduced the death of nerve cells. But no prior research had established whether phasic GABA was similarly beneficial during stroke recovery—during the days, weeks, and months when the cortex is endeavoring to rewire itself and regain functionality. The experiment, which they conducted on mice, involved several steps. Among them were (a) anesthetizing the mice, (b) inducing the stroke, (c) observing what then occurred in the brain using an advanced neuroimaging technique called array tomography, (d) administering low-dose zolpidem to some of the mice starting on Day 3 after the stroke, (e) observing as, during stroke recovery, the mice underwent tests of their fine and gross motor skills, and (f) comparing the recovery of mice on zolpidem to the recovery of the mice that did not receive the zolpidem. After the stroke, the regaining of motor skills was accompanied by increased phasic GABA signaling in the mouse cortex. The mice given low-dose zolpidem recovered their motor skills much faster than the control mice. This preliminary study will need to be repeated before tests are conducted on humans. But if the findings hold up, zolpidem may one day be a first line of defense for people who have strokes. Zolpidem’s use as a sleeping pill has become controversial in recent years. The results of one study show that users are more prone to retain negative memories than nonusers. Post-marketing studies also suggest that older adults who use zolpidem are more likely than nonusers to experience falls and hip fractures. And preliminary evidence suggests that zolpidem may be associated with the development of dementia, cancer, glaucoma, pancreatitis, and epilepsy. So if zolpidem is your hypnotic of choice, take care to use it only as directed and only if you need it. If you use Ambien, have you experienced any negative effects related to the drug? I find if I don’t retire soon after taking Zolpidem, I want to eat. And sometimes, I have some horrible dreams. Normally I take 1/2 of the 10mg, and if I wake up too early in the a.m., I’ll take the other 1/2. That usually does the trick. Of course I’m 74, so my duties are minimal. I’ve heard about this response to Ambien from others, and a few years ago there was quite a big stir about Ambien causing parasomniac behaviors like “sleep eating” in some people who use it. But I think your observation about retiring soon after taking zolpidem (or any other sleeping pill) is really relevant to this discussion. It has always seemed to me that we who use sleep medications have a responsibility to use them judiciously. It doesn’t make sense to be up and about after taking a sleeping pill that depresses the central nervous system. Retiring soon after taking zolpidem is the right thing to do. 2. They don’t realize how quickly it works. You have to be in bed, under the covers and ready to lay your head down right when you take it. I think you raise some good points here. It’s true that some people who experience adverse reactions to zolpidem are using it in combination with other drugs: alcohol, benzodiazepine medications like Xanax, or antidepressants. There are warnings against using zolpidem in combination with these other types of drugs—yet not all people (and, apparently, not all physicians) heed them. Ambien may then get blamed for causing an accident—when in reality a drug interaction was involved. Zolpidem is indeed a fast-acting drug. Peak onset occurs in less than 30 minutes. And, according to Family Practice Notebook, a medical reference for primary care and emergency clinicians, patients may begin to feel its effects in as few as 7 minutes with standard Ambien. So, yes, it’s a good idea to be heading toward the bedroom very soon after taking this medication. I have used zolpidem and eszopiclone. Both had the side effect of (unpredictably) triggering serious levels of sadness and a loss of energy by afternoon. This can be moderated with the use of gabapentin. Recently, I was prescribed an anti-anxiety medication, oxcarbazepine, which seems (so far, two weeks in) remarkably effective at mood steadying. I cut the dosage in half (5 mg zolpidem, 1.5 mg eszopiclone) to good effect. I only just discovered your website. I have a lot of experiences and questions, so I will start digging about. THanks for the resource.